Targeting: Tom Dundon has said the AAF could fold if the NFLPA does not work with the new league in building it as an NFL developmental system. Is the AAF doomed? Click Below to Join Our Patreon For More XFL, Exclusive Coverage, Show Merch, and More! Sign up for all the Football coverage you can handle! Click Here to Score Some Cool Show Merch! Complete breakdown of an eventful week that saw @XFLNY & @XFLStLouis get their Head Coaches/GMs! 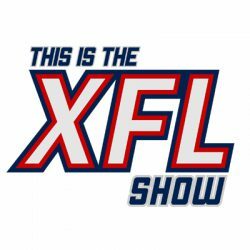 With the #NFLDraft looming, we take a listen back to when, XFL Director of Player Personnel, @EricGalko joined us on @XFLShow to talk how exactly the XFL would be scouting players for 2020!